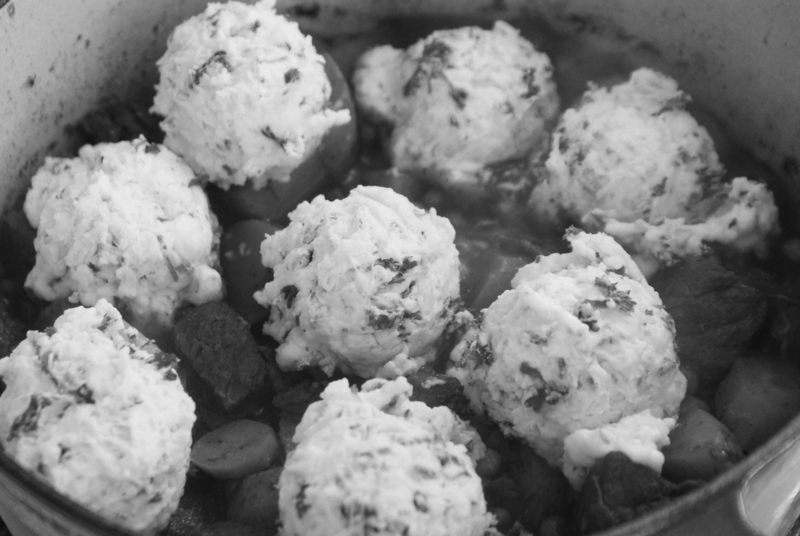 Stew with dumplings – Serves 6-8. A genuine Irish family recipe to help alleviate your post-St. Paddy’s Day blues. This quick recipe is easy to prepare, and will definitely fill you up. Reheated leftovers are also delicious! Cook meat thoroughly (method will vary depending on which type of meat you use). Then, fill a deep stew pot with water and the cooked meat. Bring water to a gentle boil, then lower to medium heat. Chop vegetables and stir into pot along with seasoning. Simmer gently for 30 minutes. About 15 minutes before serving, add dumplings without stirring, and cover pot tightly. Cook for an additional 15 minutes; serve immediately. Sift together flour, salt, baking powder, and baking soda. Cut in margarine or shortening. Add milk. On a floured cutting board, gather dough into a ball and knead 20 times. Roll out dough about ½ inch thick and cut into circles with a floured cutter. Place on greased cookie sheet. Bake at 450 degrees Fahrenheit for 12 to 15 minutes.